This sale is THE BEST for several reasons: 1) It is a sale on NEW merchandise for fall (my favorite season and my favorite style of clothes) 2) The markdowns are out of this world and you will find some crazy good deals 3) The sale items are so good I will literally want one of everything. 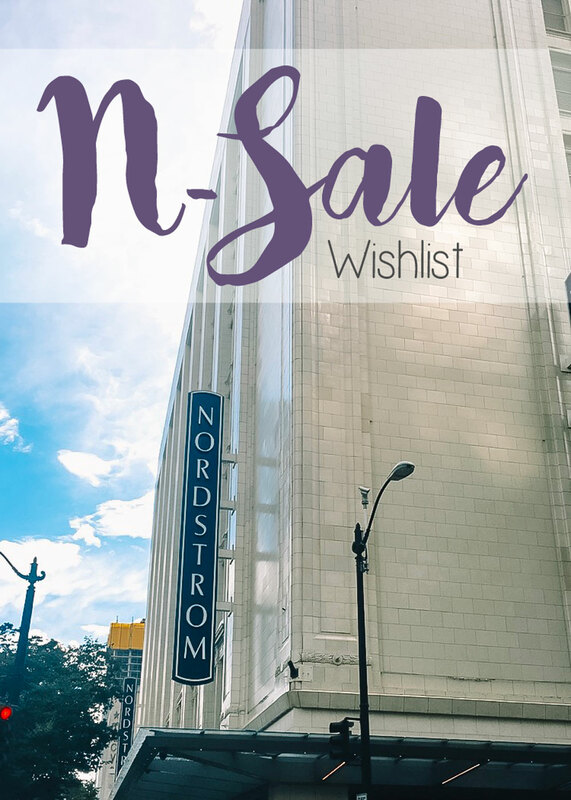 The N-Sale prices are currently only for Nordstrom Card holders but the sale will open to the public on July 20. Reference THIS post for more info on the sale and my tips for shopping. Reference last year's post for my shopping tips if you're not a Nordstrom Card holder (it can get crazy once it opens to the public). I spent hours and hours scouring the sale (literally woke up a 4 a.m. to put this together) and rounded up my favorite items below for your convenience.....all categorized, of course! I already ordered a lot of things but I'm heading to Dallas this weekend with a few gal pals to shop in person, as well. Stay tuned for dressing room diaries, try on sessions, details on how things fit, style inspo, etc. - lots of N-Sale coverage coming your way. You can view my entire wish list here - I'll be updating that page regularly as I discover new things. YAY! What items are you crushing on?? I think I might splurge on these boots and I'm OBSESSED!